Mehrdad Erfani’s next ride is on April 23, 2017. For all details please visit Ride For Hope. 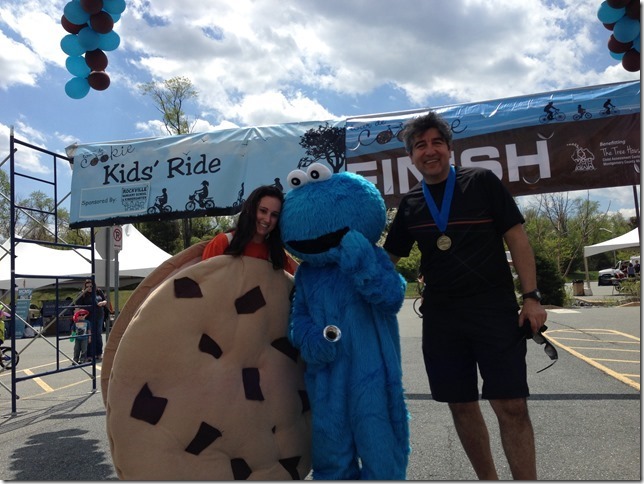 Read on for more about Mehrdad and his last fundraiser for OMID. Mehrdad Erfani was born in Iran, and has been living in the US since 1978. He currently lives in Washington DC area, is single, and a Software Consultant by profession. A true philanthropist, he also works as a voluntary Director for Volunthropy and a Co-Director for homelessness project Dast2Dast. 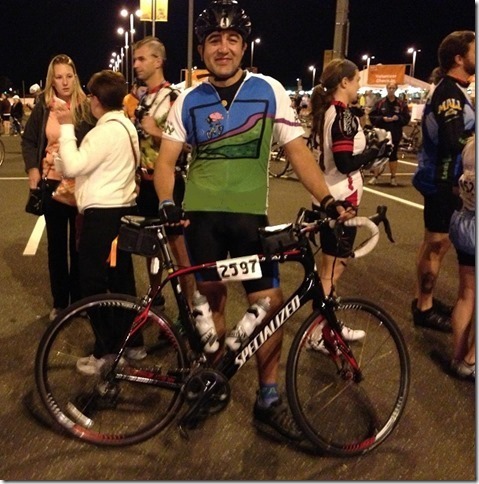 In July he will be cycling 340 miles to raise funds and awareness for OMID. Here is his own story on why and details on when and where he’ll be cycling for OMID and how you can sponsor him. “When choosing an organization or volunteer activity to support, I look for causes that have touched me personally, that aim to strengthen communities by fostering tolerance and understanding, and that bring attention to causes and illnesses that most of us don’t struggle with on a daily basis. Whether seeing my loved ones dealing with Cancer, Autism and MS, or meeting someone in a refugee camp, telling me how the Doctors Without Borders is the only reason she is standing there to talk to me; or learning about OMID Foundation giving meaning to life to so many young women who had perhaps given up on it; or little kids who had experienced things that no one should and are helped back to some level of normalcy by the Tree House, there is a very personal story behind every one of these causes that I am supporting. As is often the case, it’s only after facing difficulties that we appreciate the true value of the opportunities we’ve been fortunate enough to have. For me, that difficulty came when I immigrated to the United States at 17 without my family. Once here, I was fortunate enough to be surrounded by loving people who guided me, supported me, and spent their valuable time on me, not because they had to, but because they saw someone in a difficult situation and they chose to act instead of just sympathize. I realize every day that I have only been able to reach my goals and aspirations because of that generosity I continue to be driven by that first-hand understanding that sympathy is kind, but action is key. As a result, whether the cause is homelessness, hunger, medical condition or empowering a human being against all odds, I feel that the least I can do is to volunteer my time to help, bring as much attention to the cause as I can, and raise funds to help put an end to it. In the end, my hope is to be a positive influence in someone’s life as so many have been in mine. Currently, I am the director (volunteer) of volunthropy.org a web site promoting act of volunteerism and raising awareness about various causes and charity bike rides. I am also the co-Director (volunteer) of Dast2Dast.org, an organization dedicated to helping Northern Virginia’s homeless population; I ride approximately 1500 miles of charity bike rides per year to benefit various causes (i.e., autism awareness, multiple sclerosis and diabetes research, Doctors Without Borders, and assistance to children with special needs); I volunteer for the local Meals on Wheels program through the Fairfax County Commission on Aging; and I assist with financial literacy through Our Daily Bread. As an OMID ambassador for the past few years, I have learned about and witnessed OMID’s amazing work transforming lives. I have also had the privilege of working with dedicated group of volunteers and ambassadors in the DC area raising funds to help the critical work OMID is doing in Iran. 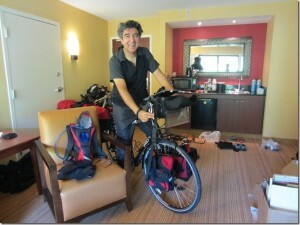 It was in this spirit that I dedicated one of my longest charity rides this year to OMID. Aside from the significance of the distance, there are other symbolic reasons that I chose this particular path for this ride. 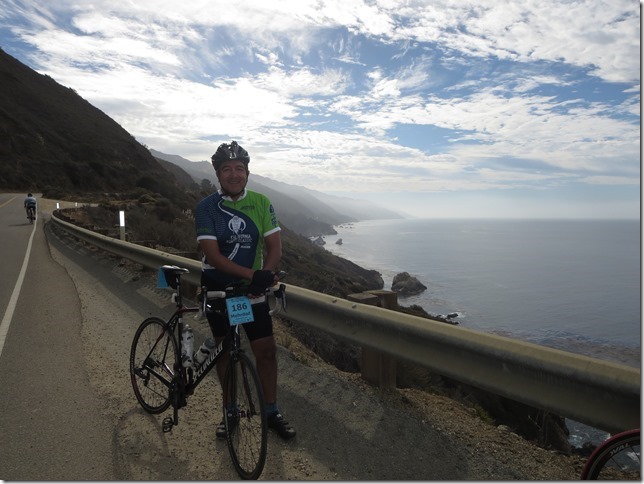 The 340 mile solo ride is along a path that perhaps embodies many characteristics of the young women making magnificent strides in their lives. Long stretch of this route is lonely, a good portion of it is in wilderness, the condition of the path is varied from nice to massive pot holes everywhere, but the entire path is always beautiful, and no matter how rough and long the path, there is always a nice place where you will finally end up. In short, OMID Foundation’s goal is to empower marginalized young women in Iran. Ever since they were established more than ten years ago, OMID has been providing a sense of self-worth and opportunities in three key areas: Self-empowerment, education, and training. Not an easy task considering the young women who come to their care are typically runaways from abusive homes, often suffering from mental health and emotional difficulties, mostly stemming from psychological, physical, and sexual abuse. While impressive, hardly any of the success stories would be possible without the generous support and hard work of so many. OMID relies on donations to improve the existing programs to provide better futures for abused, neglected, and disadvantage young women in Iran. In the first week of July 2016, Mehrdad Erfani will be pedalled from Pittsburgh to Washington, DC to raise funds and awareness for a cause that is near and dear to him. In doing so he raised over $6500. His next ride is on April 23. For all details please visit Ride For Hope.